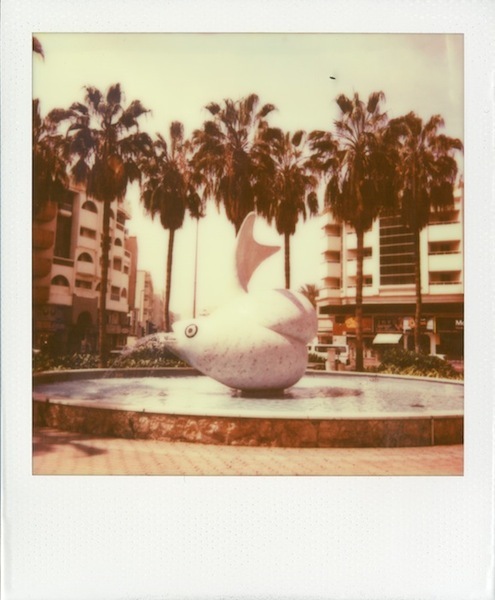 Deira Polaroids is a new photo series I started recently, it's an ongoing series of images I've taken during my frequent walks and visits to Deira (my favourite part of Dubai). It’s an ode to Deira, to visually showcase the thriving part of “old” Dubai. The first part of this series is exhibited at this year's SIKKA Art Fair in House 16. The exhibition is accompanied with an essay titled “Deira Modern, Notes from Dubai” by Todd Reisz , which I featured here three years ago. The series includes some of my favourite buildings and spots, some have been around from the mid 1970s. Here are 10 photos from the 60 exhibited at SIKKA and extracts from Todd Reisz's essay. I really enjoyed my walks and taking these photos and plan to go back to take more. I am hoping to develop this into something bigger, so watch this space. Deira was Dubai’s most modern quarter. It still is, though it’s often referred to as “Old Dubai,” a generalization that only describes a stop on the Dubai visitor’s course. To see a gold souk, a fish market. To take an abra for no reason other than to take an abra. The charm of the antiquated is an applied layer. Deira survives this nostalgia by ignoring it. In contrast to the towers of Sheikh Zayed Road, Deira might seem static and quaint, poor and outdated. This couldn’t be further from the truth. How could Deira be irrelevant when everyone complains that Deira is too crowded? It’s crowded because Deira is true urbanism; it’s more city than elsewhere in Dubai. Today’s Deira operates not much differently than that of the 1970s when reclaimed land began to make Dubai a real estate success. The new shore separated the merchants from the ships. They were reconnected with dollies and Japanese pick-up trucks outfitted with wrought iron fencing that could weave through auto and foot traffic to deliver goods. It’s still done the same way today. Tourists snap pictures of a world that seems so much of yesterday: Pakistani men in ‘traditional’ dress wielding worn carts stacked with supplies. These men running carts from creek to shop are more essential to Dubai’s longevity than the latest office tower in Media City. If one wanted to locate a local approach to modernism in the Gulf region, one should start in the parts of cities like Deira. Shading built into building facades provides interaction with the street but also privacy from the street. These buildings should be inspiration for what could work in Dubai and in other cities, but tastes and preferences preclude that. These parts are written off as old, dirty, rat-infested. They are often all of these things. Most people living in the buildings would move out if they could . But the struggle, the need to stay vs the desire to leave, once defined cities. Cities were never places of comfort; they were where we once encountered the human soul. Read the complete essay by Todd Reisz here. 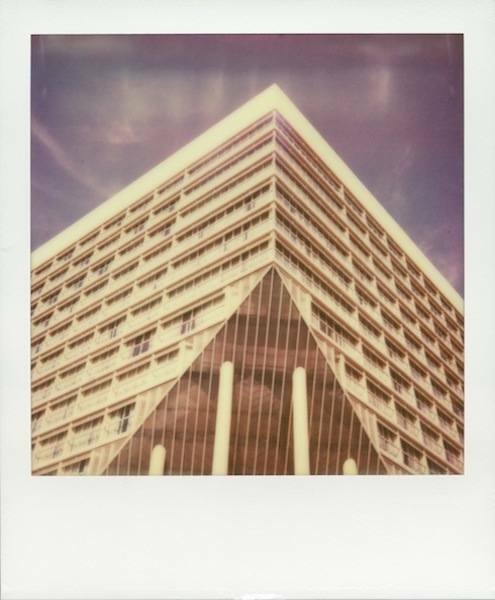 Deira Polaroids will be exhibited in House 16 SIKKA Art Fair till 25th March 2014 between 2.00-10.00pm. Location map.